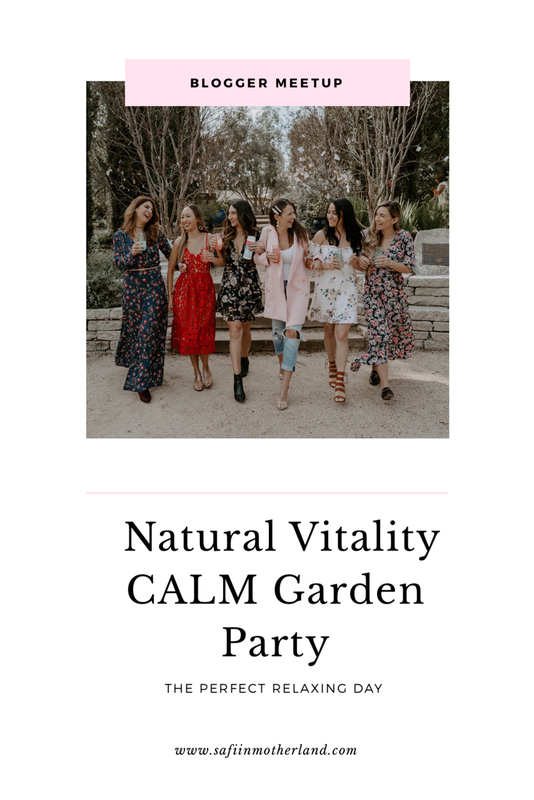 I recently had the pleasure of partnering with Natural Vitality to plan and host a small meet-up with a few local bloggers and content creators. 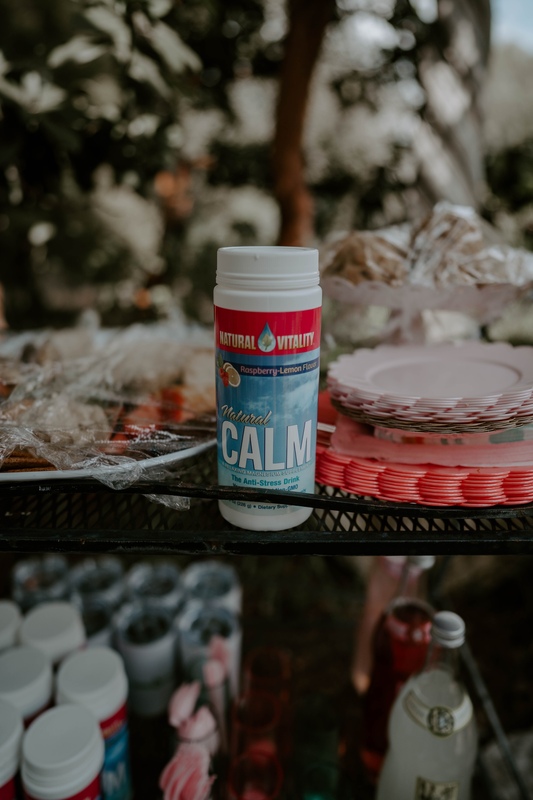 The goal of the event was to plan a relaxing day around their CALM Raspberry Lemon Magnesium powder. Since I know how stressful and chaotic life as a content creator can be (especially when juggling full-time jobs and families) I decided to have the meet-up at my favorite local garden. 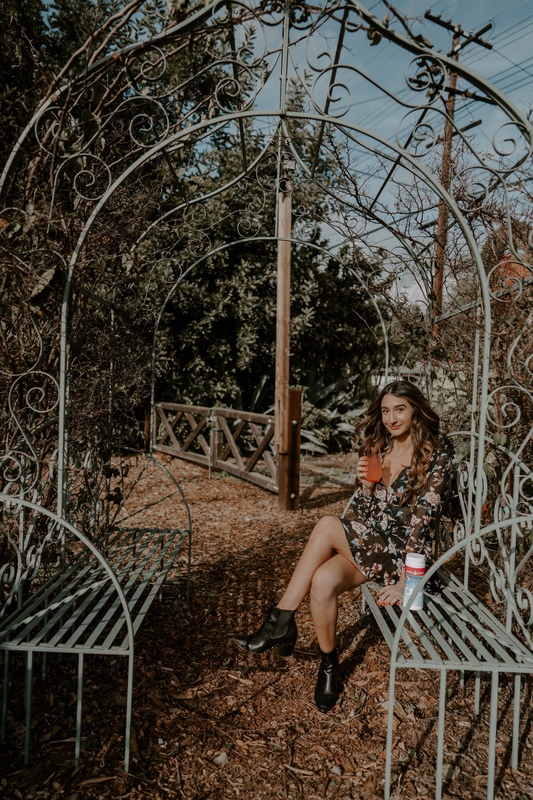 It’s such a tranquil and relaxing location so I knew it would be the perfect spot for us to unwind and enjoy our Natural Vitality CALM. 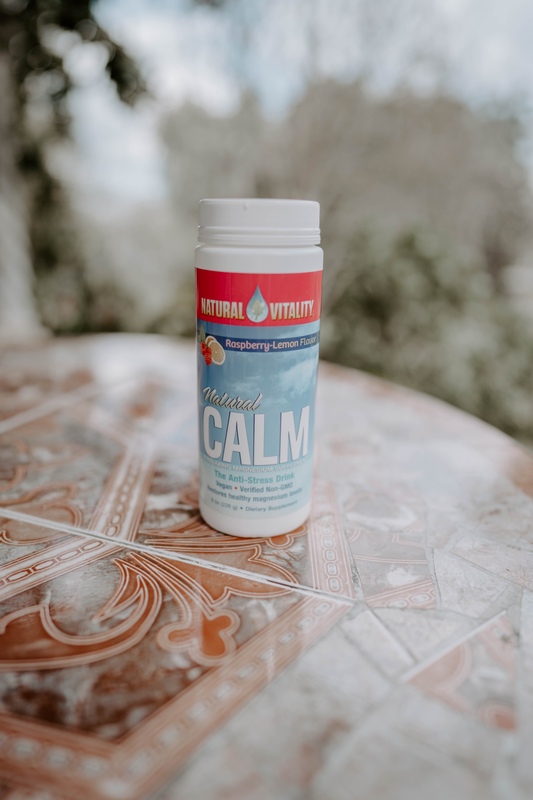 In case you aren’t familiar with Natural Vitality’s CALM, it’s a fruity effervescent powder that promotes healthy magnesium levels and balances calcium intake. 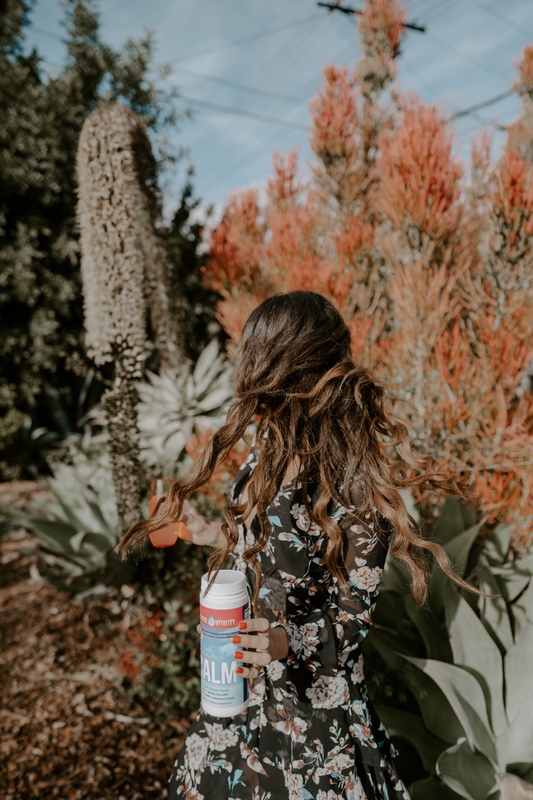 The powder can be mixed in drinks and helps you feel more in control over your state of calm (who doesn’t need that right?!). I went early to prep everything and get a spot since it’s a public garden. 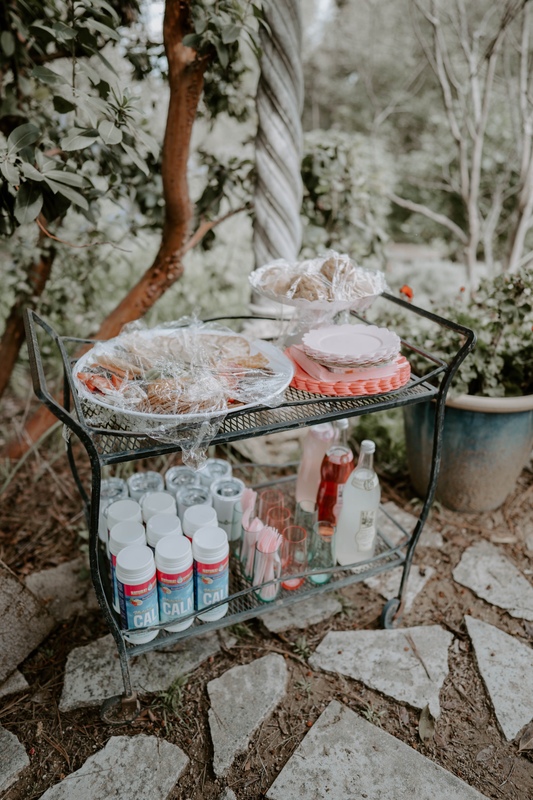 I set up near a beautiful table that was covered by an umbrella and there was even a little bar cart next to it so it worked out perfectly! 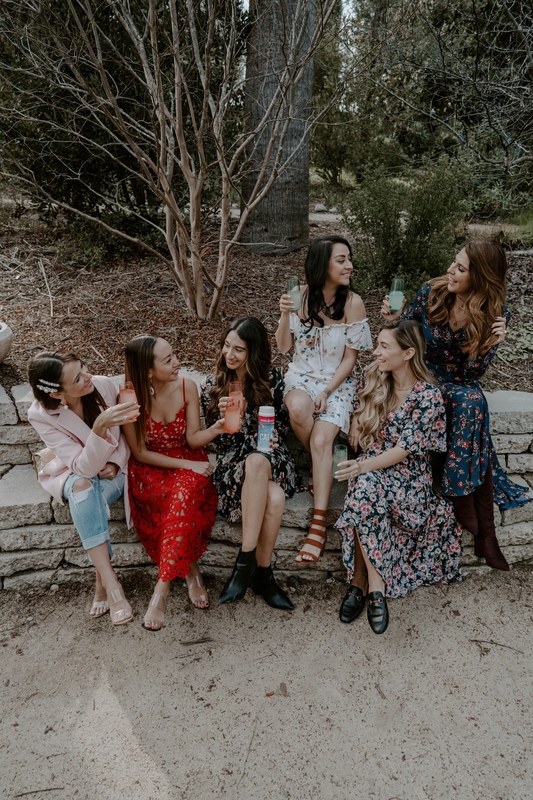 I brought a few different flavors of Italian sodas to mix with the CALM as well as a platter for fruit, veggies, cheese and sweets for the guests to enjoy. I was so excited for the girls to arrive because I had never met most of them in real life before. It’s so funny how you can “know” someone through social media even though you’ve never met in person! I was so grateful to have such an awesome group of girls to experience a couple of hours of zen with. 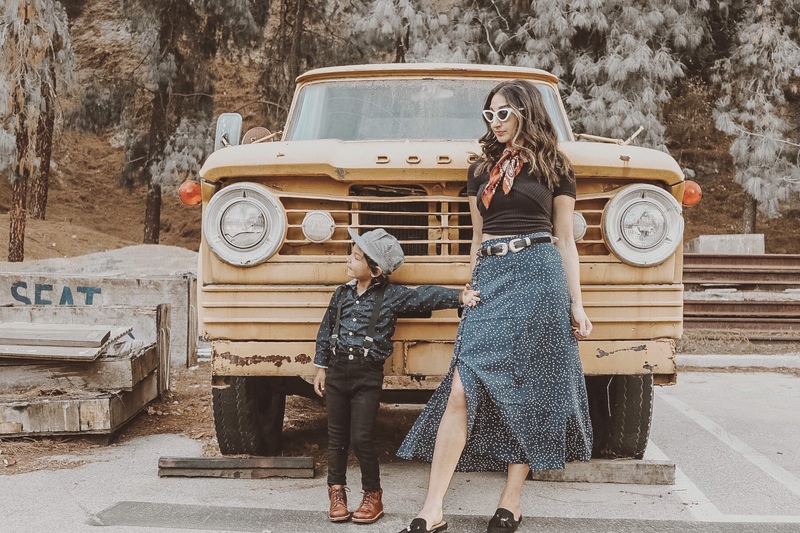 We sat down and we immediately started talking about our lives, how long we’ve been blogging, our families, if we had full-time jobs and how stressful it can all be. 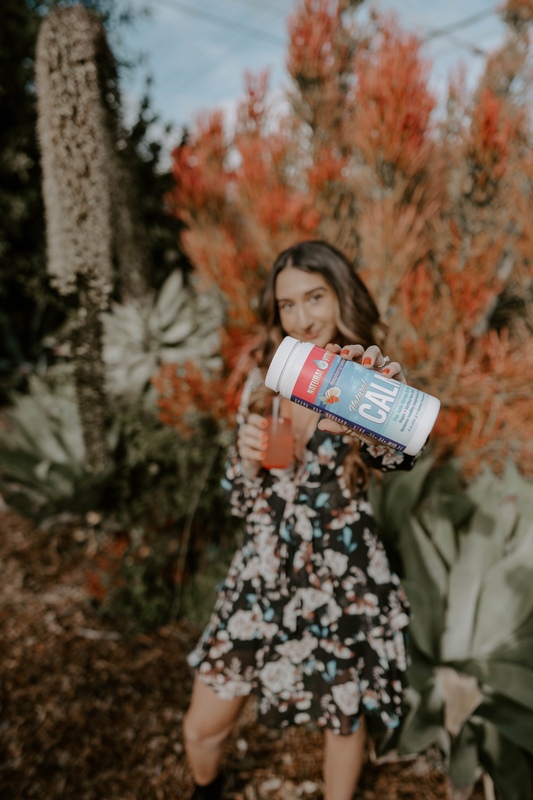 I took out the CALM supplement and we started mixing it in our Italian sodas. 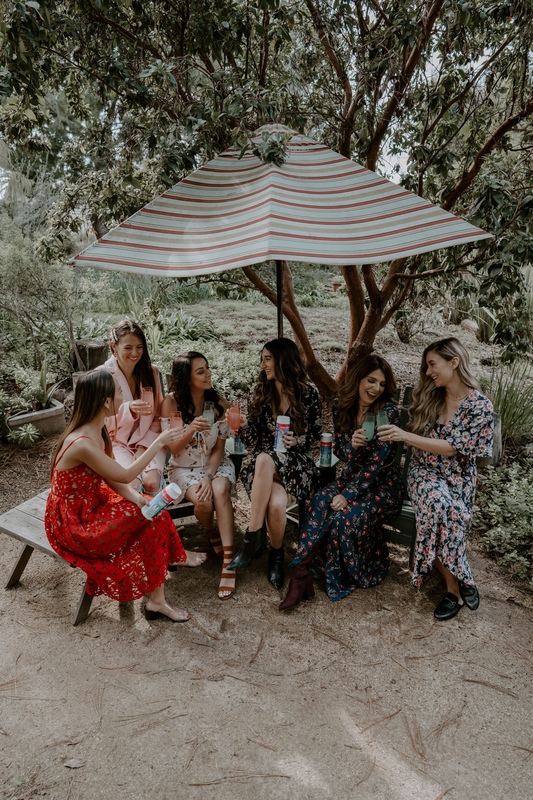 We sipped our drinks while we talked and before we knew it, we were actually relaxed (which is definitely rare for me). We explored the rest of the garden and I was so happy the girls loved it as much as I do. 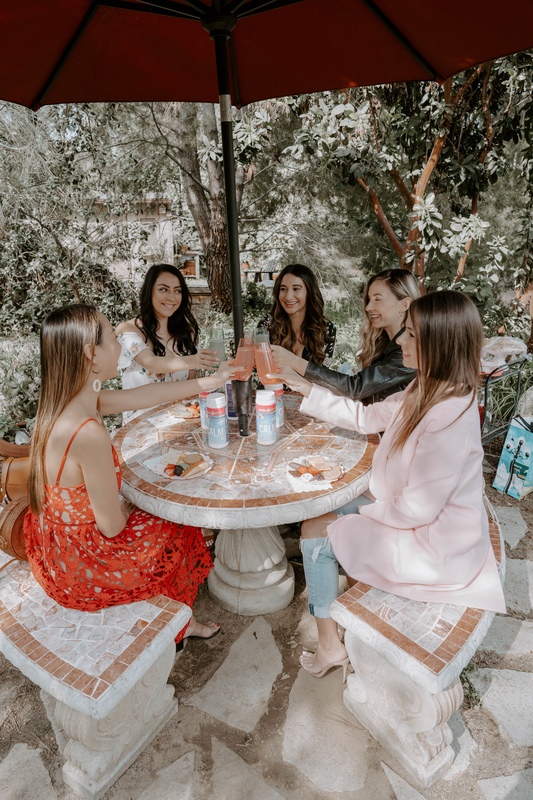 While we walked through all of the charming little areas, we continued to enjoy our CALM drinks. 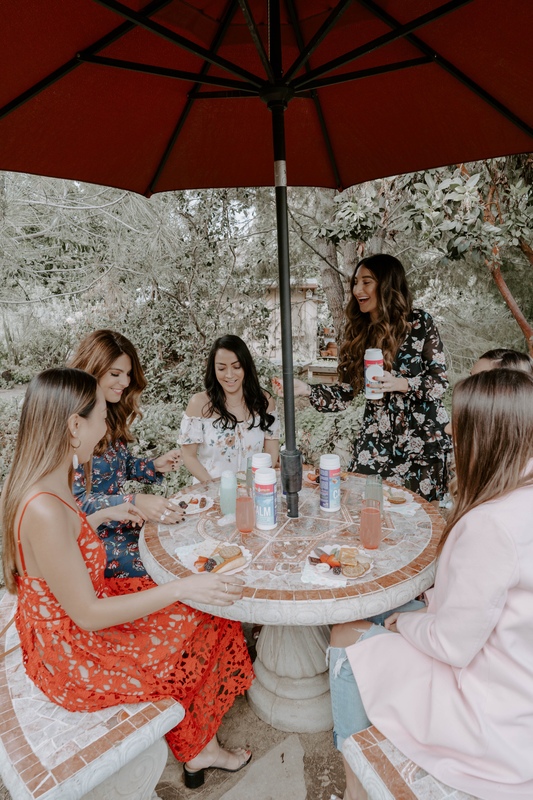 It was so nice to be surrounded by such inspiring women in a beautiful setting, and the Natural Vitality CALM helped us to be able to relax enough to truly take it all in. 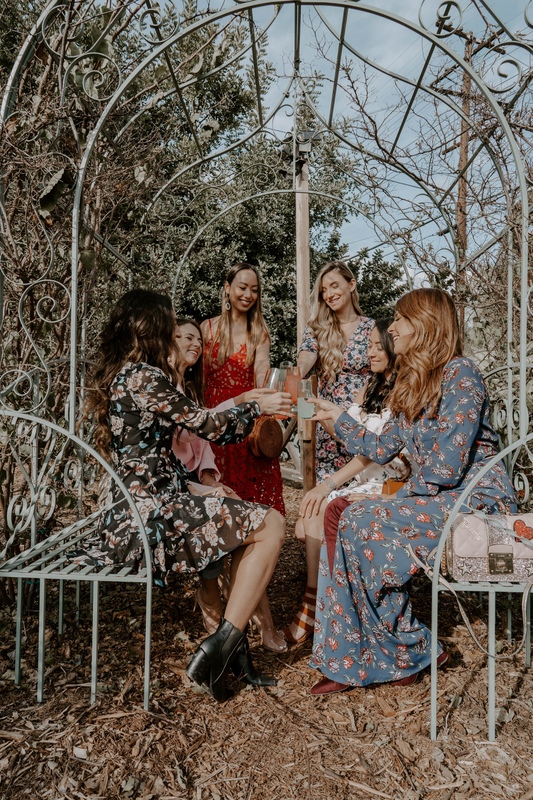 At the end of the event, all of the attendees got to take home their own Natural Vitality CALM Raspberry Lemon, a Natural Vitality tumbler and event some adorable little candles. 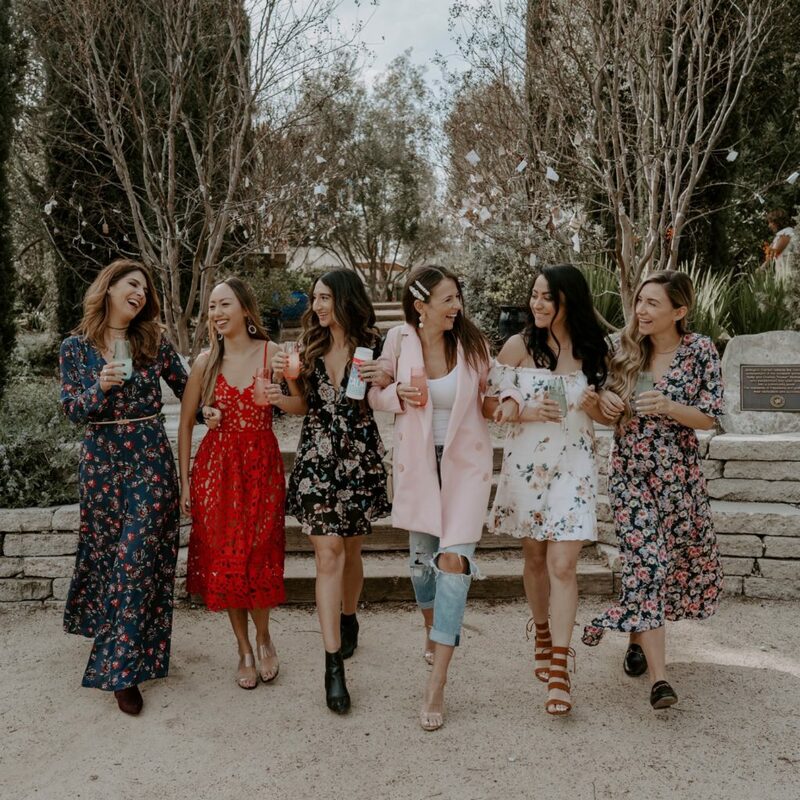 I was so glad we were all finally able to meet, and spend a couple of hours together away from all of the stressors we experience in our daily lives. Laughing together and sharing similar experiences with one another was exactly what I needed. I hope that we were all about the takeaway the importance of taking a step back and making time for moments of relaxation in our daily life. My husband and I have both been including our CALM supplement into our daily routines. I like to mix it in hot water and drink it before bed, while working on blog post or anytime I’m feeling extra stressed. My husband likes to add it to a water bottle and drink it at night. I really do feel in control of my state of calm after drinking it, and I love that it has so many other benefits too! I also love the taste, and it’s not sweet at all. It’s been so important for me to realize that I’m able to be the best version of myself when I take time for myself. Self-care isn’t selfish, and it allows me to be the best mom and wife when I make it a priority. Sipping on my hot water mixed with the CALM is my new version of self-care and I’m so glad I discovered it. I never heard of this product but looks like something I need on the regular! Yess it’s such a great product to incorporate into your daily routine! That looks like such a fun party! I have used Calm for a long time. It truly helps with my sleep and has been a life saver! It was so much fun! I love drinking it at bedtime too!! 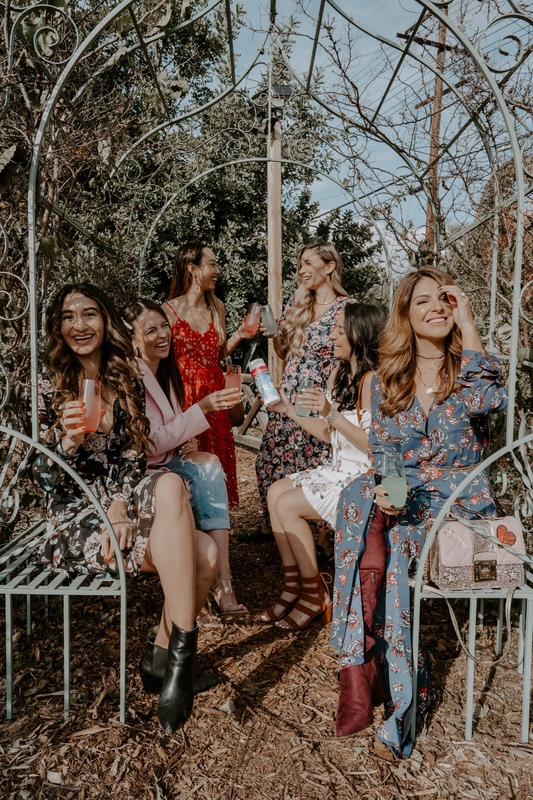 This makes me think a girls brunch is over due for me and my girls. I have used Calm in the past to help me relax in preparation of my driving t at hahahaha. I’ve heard that magnesium is so important for relaxed muscles, so it makes sense to have a drink supplement like this. Looks like you had a great time! Yess it has so many other great benefits too! We had a blast! 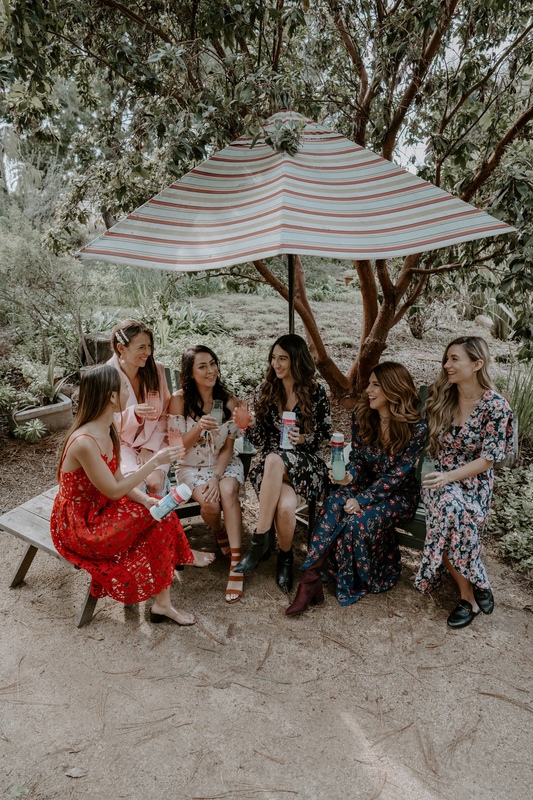 Whenever I move to my permanent home I plan to be super super picky about my front and back yard so I can have social parties and get togethers like this!